Bombing major city centres is as effective as it is destructive. They cause many victims and destroy the historic city architecture in a single blow. 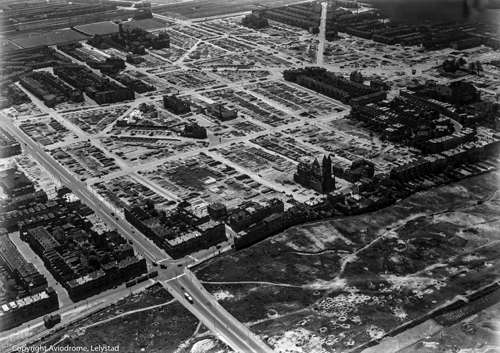 Although many places in The Netherlands suffered from the violence during the Second Word War, three ancient cities experienced the devastating effects of a major bombing campaign. Our country didn't submit quickly enough to our conquering eastern neighbours. 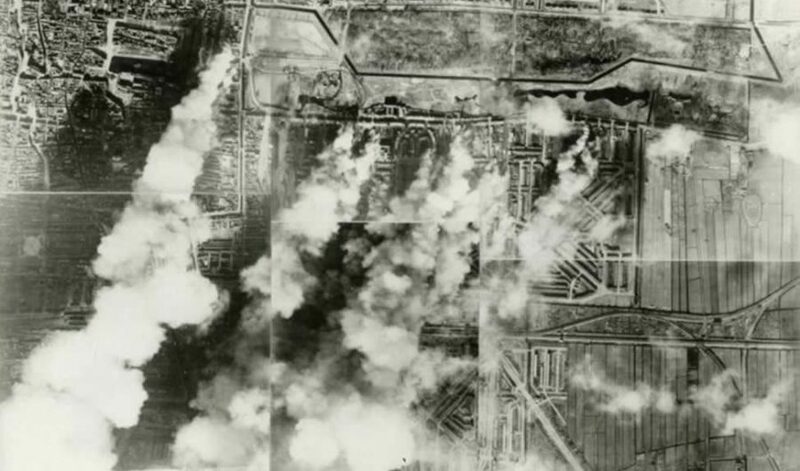 This lead Germany to target Rotterdam with their bombers on 14 May 1940. It took less than fifteen minutes to transform this well-known ancient city centre into a smouldering pile of rubble. Allied bombers were en route to Gotha on 22 February 1944, to reduce a German aircraft factory to ashes. The weather turned unexpectedly. So why not wipe the German city of Kleef off the map on the way back? But the pilots made an error. 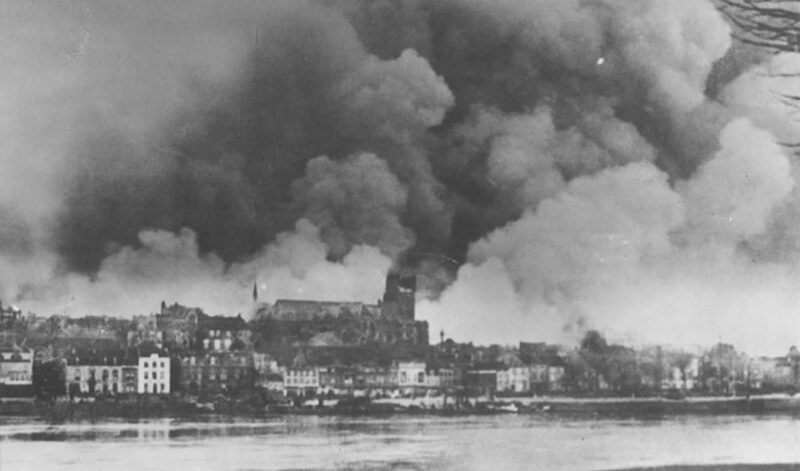 Their bombs hit the historic centre of Nijmegen instead, over 800 residents lost their lives. The plan for 3 March 1945 was to incapacitate the German V2 installations in the Haagse Bos (city forest). 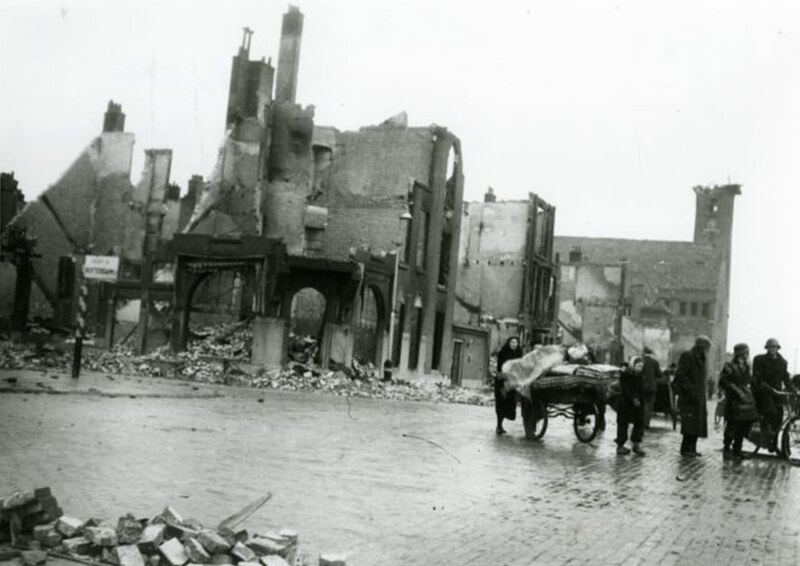 Circumstances resulted in the bombs from the British aircrafts landing a small distance away on the 19th century, fashionable residential district of Bezuidenhout. Over 500 people lost their lives. In 1944, Germany started to realize they were losing territory. The allied forces were advancing. But the occupying forces still had one trump card left. 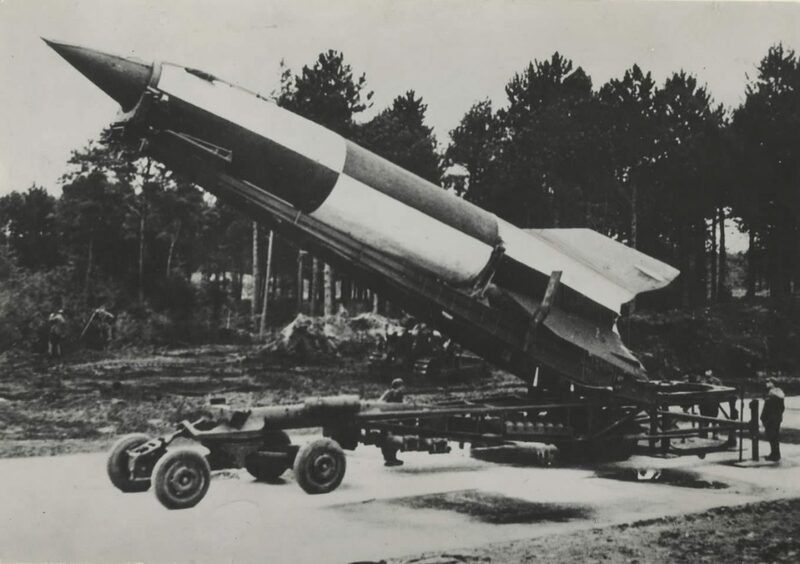 Hidden among the leaves of the Haagse Bos, they installed a mobile launch installation for their secret V2 rocket on 8 September 1944. It was a desperate attempt to teach the advancing British a lesson. Several hundred of these new weapons, which couldn't be intercepted, flew over the channel and hit right at the heart of the United Kingdom: London.! Approximately 3000 residents were killed. And over 6500 were seriously injured during these raids. The British had seen enough. 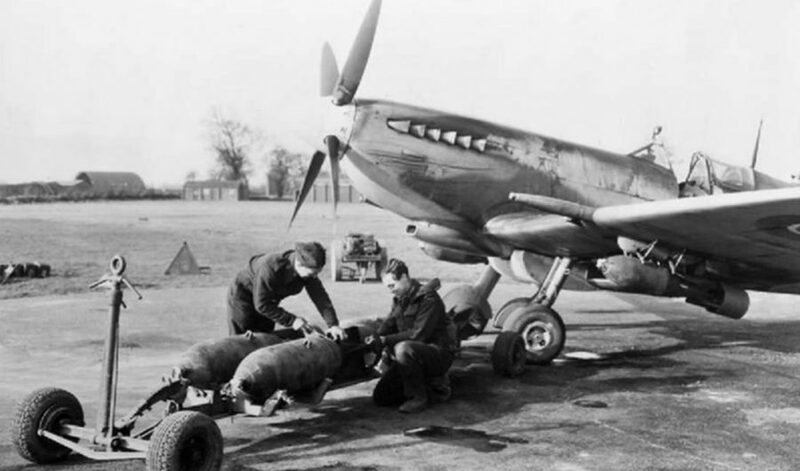 They tried using their Spitfires, which for their time were very fast and extremely maneuverable, to destroy the V2 storage sites and access roads. But they proved to be inadequate. The Germans continued to deploy their advanced attack weapon. To put an end to the oversea flights of this dreaded rocket, the British government felt compelled to deploy several medium bombers to definitively silence the launch installations of the German missiles. On the 26 January 1945, the British prime minister Winston Churchill and his Minister of Foreign Affairs Herbert Morrison agreed to launch a large-scale air raid. The government ministers ordered the air force to develop a plan that would quickly eliminate all the German V2 installations at the same time. This was more difficult than they imagined. Air photos that had been taken previously resulted in a great deal of uncertainty about their precise locations. The available data produced three possible target locations; the Haagse Bos, Duindigt and Vreugde en Rust. Time was of the essence. 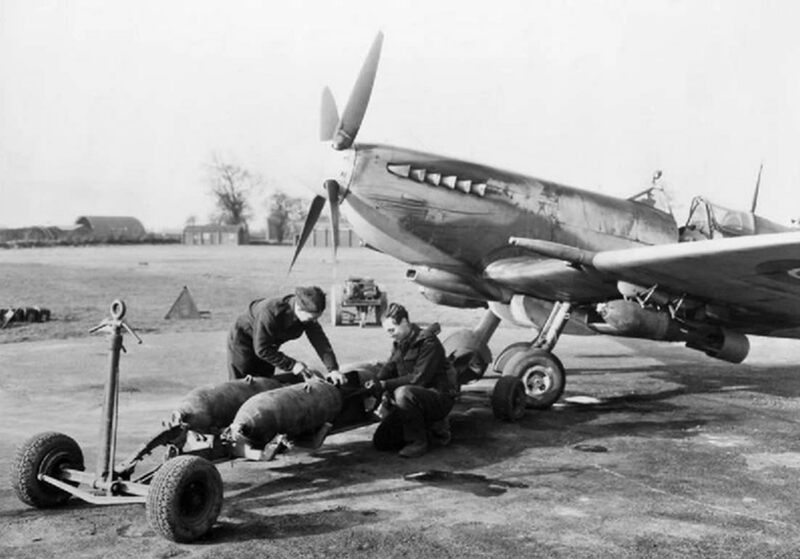 Fighter Command gave the highest priority to bombing the Haagse Bos, as this would be the most effective. On 2 March 1945 they were ready to go. 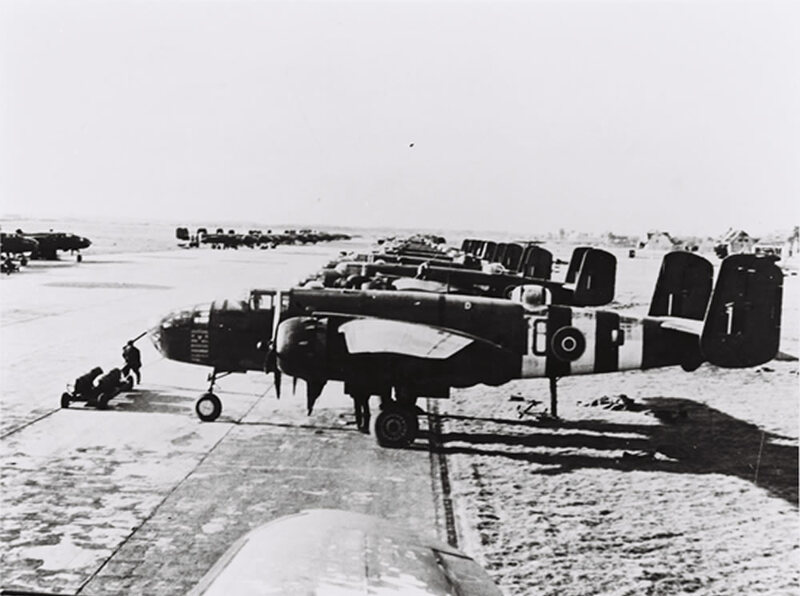 Over fifty British bombers from Belgium and the North of France were prepared to launch an attack the following morning. The attack focused on two locations along the Leidsestraatweg in the Haagse Bos. 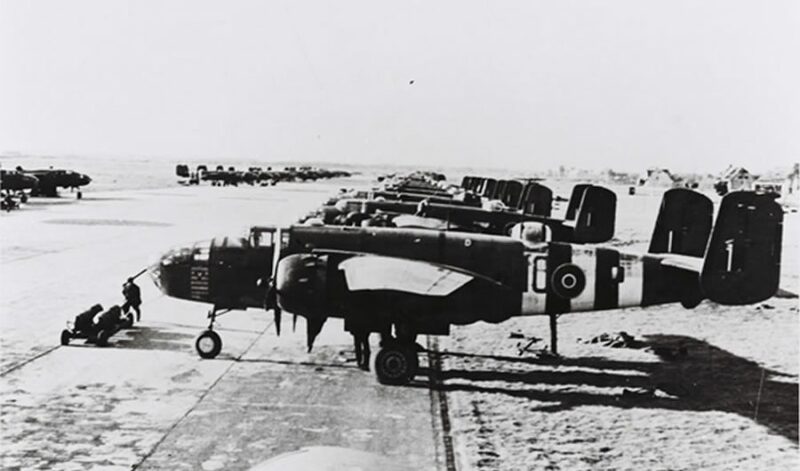 The British bombers, Mitchells and Bostons, who were deployed in Melsbroek near Brussels and the French town of Vitry-en-Artois, had approximately 67,000 kilos of Brisance bombs on board. They would drop them simultaneously from a height of 3 to 4 kilometres. This would produce the greatest effect. When something goes wrong, it can sometimes result in a chain reaction of other things going wrong as well. Despite all the detailed preparations, this happened on 3 March 1945. In the early morning, around 56 British bombers took off from Belgium and France for The Hague. Things already started to go wrong on the way there, when five planes had to turn back early because of minor technical failures. The other 51 bombers reached their target at eight minutes past nine. At least, that is what the pilots thought. 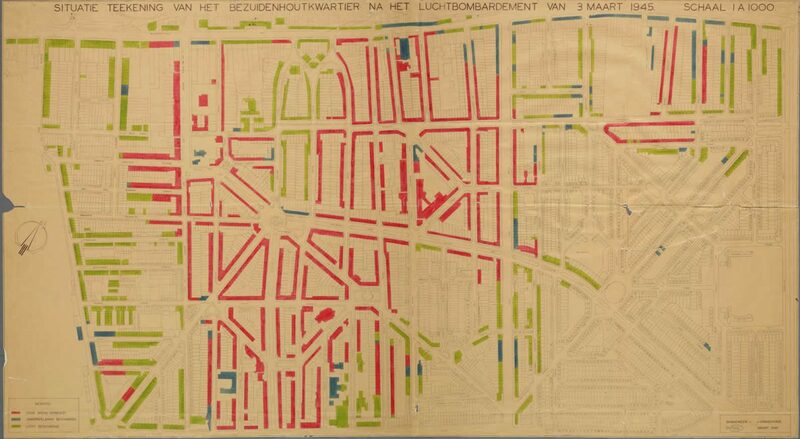 At that time, they were above the neighbourhood of Bezuidenhout, 1.2 kilometers from the V2 installations in the Haagse Bos. The doors opened, and the bombs were released. What went wrong? The strong northerly wind blew the bombs off course to hit incorrect locations and a young, inexperienced British air force officer had swapped one of the coordinates. The low-lying mist meant the pilots could not see where they were. The radar wasn't any use either. The consequences were disastrous: over 500 people lost their lives and 250 were seriously injured. 3300 houses, 290 shops and businesses, 10 public buildings, 9 schools and 5 churches were razed to the ground. It resulted in a huge amount of damage. 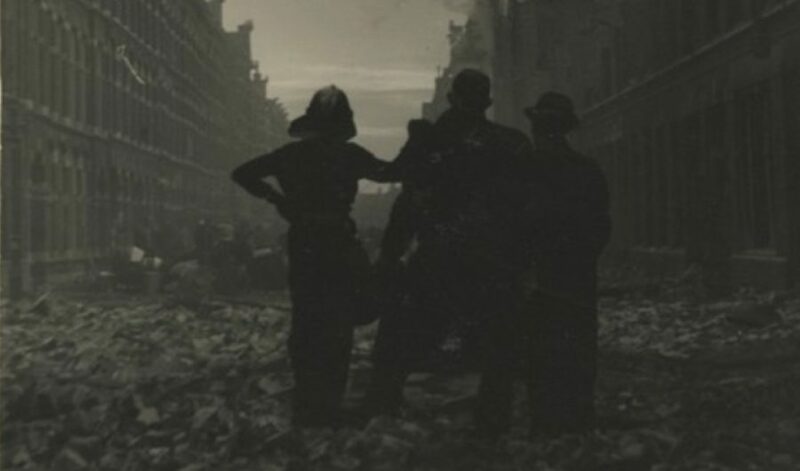 At risk to their own lives, the emergency service providers did whatever they could among the burning ruins. But yet again, though no fault of their own, all kind of things went wrong. As the Germans had impounded the ambulances, the nursing staff had to make do with horses and carts or handcarts. The remaining ambulances stood idly by because there was no fuel. The hospitals were overfull. This was the same for the fire department. There was not enough equipment. It had all been taken by the Germans. There were also fewer staff because firemen were put to work in Germany. A group of ten firemen were killed by a German V2 on the Schenkkade. And to cap it all, there was a shortage of fire fighting water to control the raging fires. 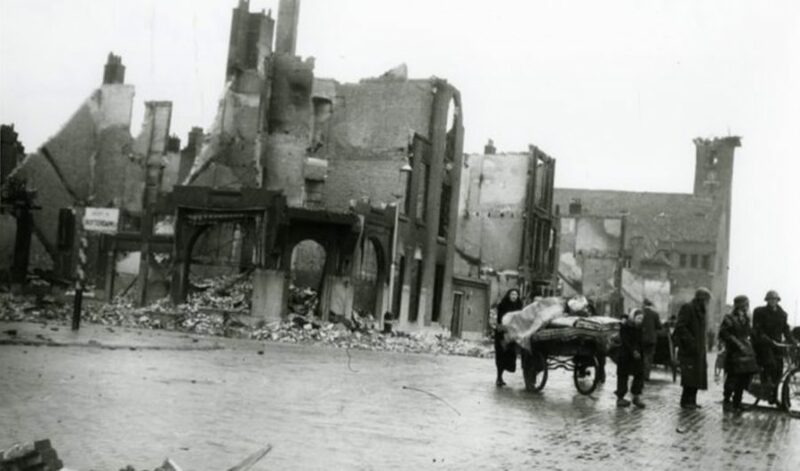 Water mains were badly affected by the bombing and fires. And if that wasn't enough, a strong northerly wind would fan the fires into a continuing life. In the end, all the professional emergency service providers lacked any means of rapid communication with each other. Telephone and radio communications were no longer possible because of the bombing and because the Germans had confiscated the equipment. After things have gone terribly wrong, with the benefit of hindsight, you can often see some positive aspects. It could all have been a lot worse if this wasn't the case. Many of the large residential houses in Bezuidenhout were empty because of the economic crisis in the thirties. Even the wealthy residents could no longer afford the overheads. If they had still been living there during the bombing, the number of casualties would have been much higher. The regular air raids by British Spitfires during the period before the fatal bombing terrified many of the residents. Many families fled to seek shelter elsewhere, leaving their boarded up houses behind. 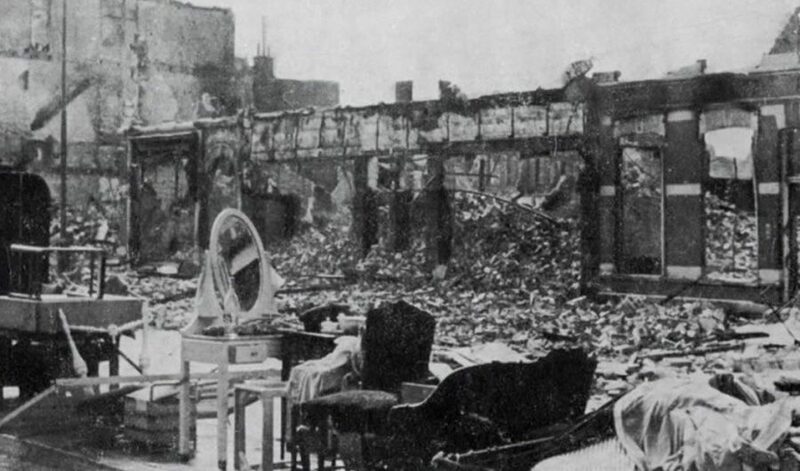 Many residents faced the danger posed by the devastating inferno that resulted from the rain of bombs on 3 March. In panic, they fled en masse to Voorburg. This was a lucky escape for many. 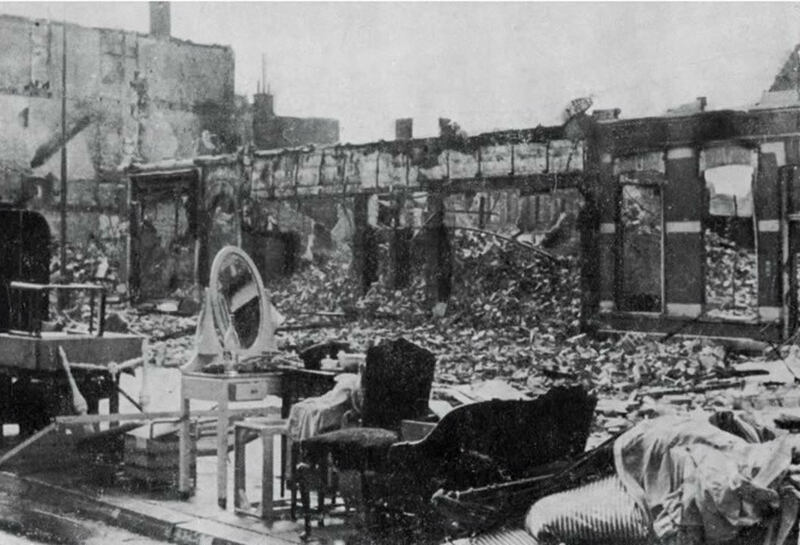 After the fire had been extinguished and the clouds of smoke had dissipated, the refugees returned to see what was left of their possessions. They took with them any items that were still of some use. 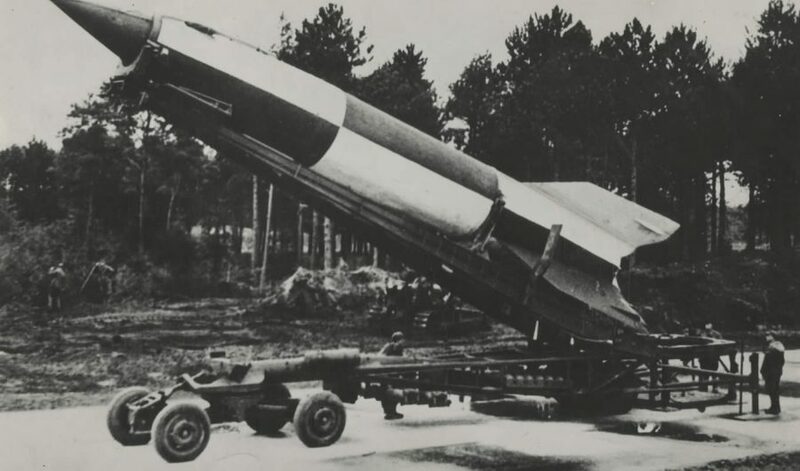 German V2 rocket on mobile launch installation. 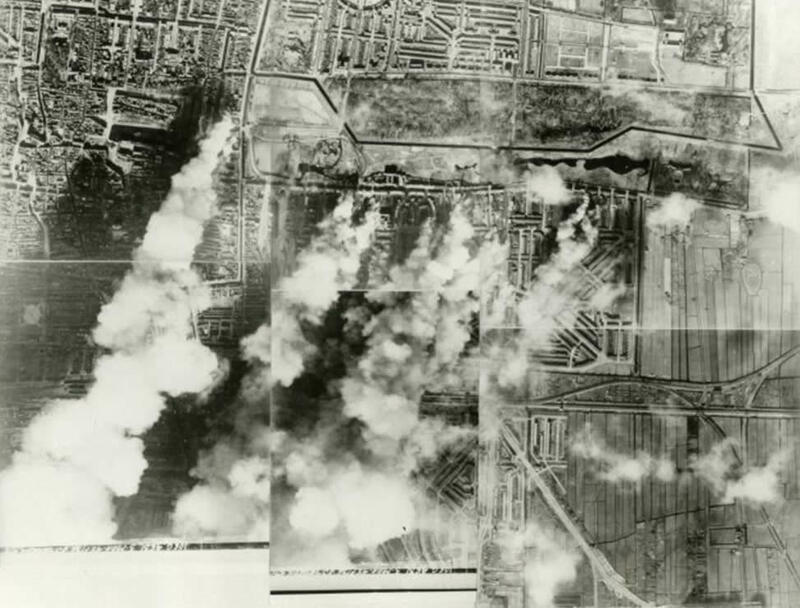 British Mitchell bombers armed with high-explosive bombs were used in the bombing of The Hague. 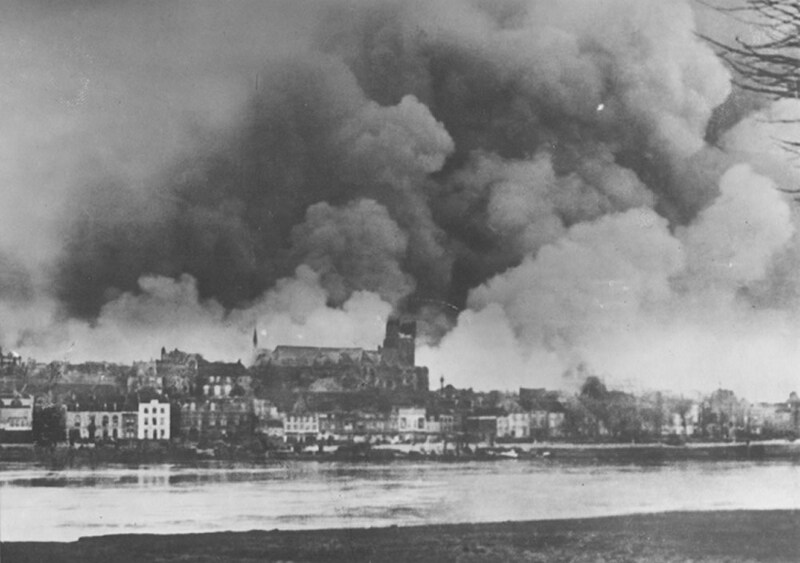 Nijmegen bombarded on 22 February 1944 (photo URoorlogsdodennijmegen.nl). Bezuidenhout was hit in its heart. 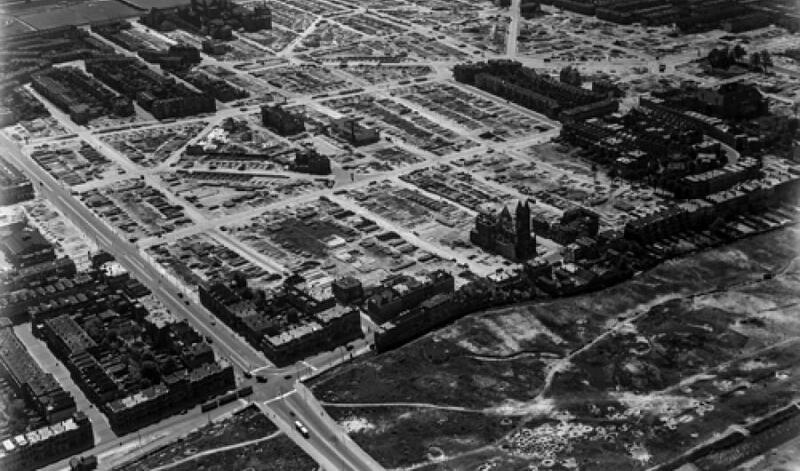 Bezuidenhout residential area hard hit by the bombardment (source Aviodrome). 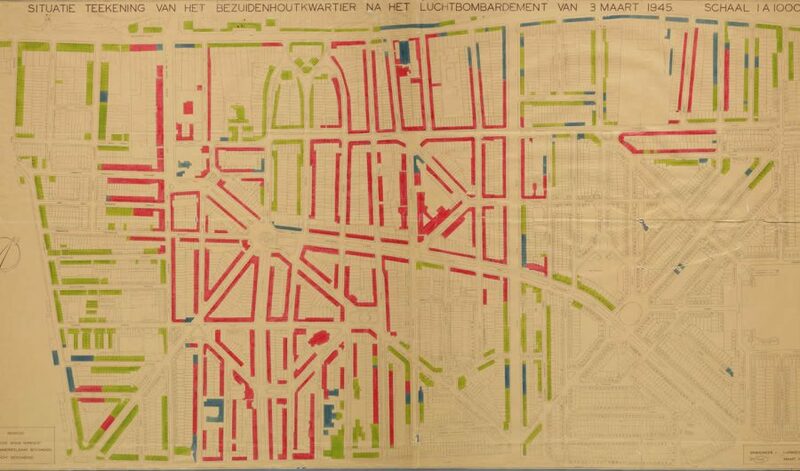 The colored parts were hit by the bombardment, destroyed by fire in red, damaged beyond repair in blue and slightly damaged in green. 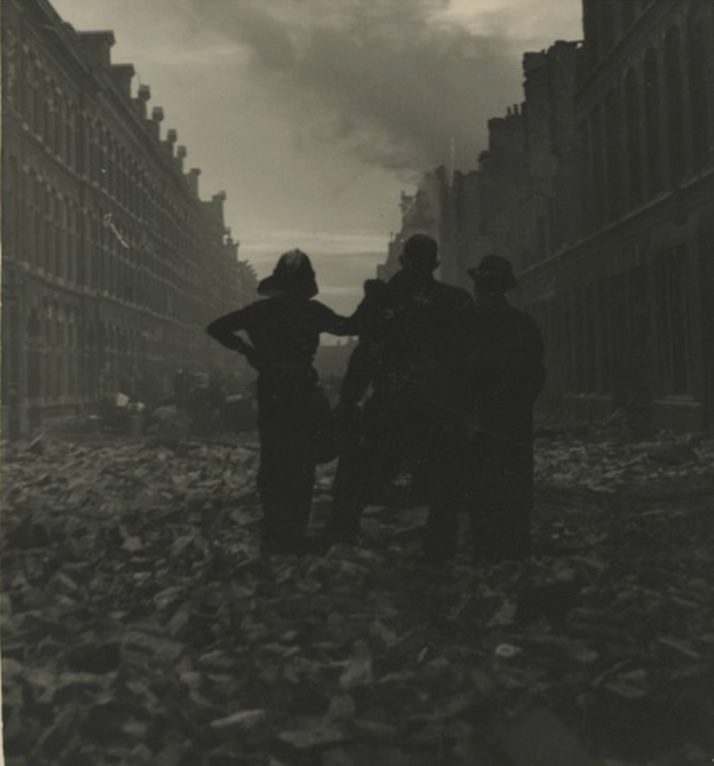 Firefighters just after the bombing. Remaining possessions were put along the sidewalk. Collect what you can, here on the corner of Schenkkade and Tweede Adelheidstraat (currently Princess Beatrixlaan).